Hello Bohemians, can i get some smiles for this new and different kind of posts?. This is an amazing way to get to know each other a little bit more and of course share some stuff of one of our favorite subjects, BEAUTY. Here are my answers to some of them, feel free to take the questions and even share some of yours with me, in the comment section below. -How many times do you wash your face daily? 2 or 3 times a day. -What skin type do you have? Oily Skin. -What is your current facial wash? Artistry Essentials Balancing Cleanser. -Do you exfoliate? Yes i do, Once a week. -What brand do you use? Artistry as well. -What moisturizer do you use? I'm currently using Artistry Essentials moisturizing plus oil. -Do you have freckles? no i don't. -Do you use eye cream? Yes i do, i particularly think it's a must in order to take well care of your eye area. -Do you or did you have acne prone skin? No, never. -What foundation do you use? Haha it's an Artistry Product as well, i use Artistry Balancing Foundation in the shade ''Toffee''. -How about concealer? i use different kind of concealers because i'm always trying to get different consistencies, my shade is Medium, and i'm currently using Artistry. -Do you know your undertone color? Yes i do. -What do you think of fake eyelashes? It definitely looks great in some girls, i'm not a fake eyelashes fan for myself, but i would use them for an special occasion or look recreation. -Did you know that you are suppose to change your mascara every 3 months? Yes, that's a fact. -What brand of mascara do you use? haha Artistry. -What makeup tools do you use in make up application? Kabuki brush, face brush, blush brush, Brow and eye liner brush, beauty blender. -Do you use make-up base/primer for the eyes? Sometimes i do. -For the face? Yes i always prime my face before the makeup, specially if i'm going out during the day. -What is your favorite eyeshadow (color or shade)? I'm a sucker for metallic colors, and bronze. -Do you use pencil or liquid eyeliner? i use both actually. -How often do you poke your eyes with an eyeliner pencil? haha not often. -What do you think of pigment eyeshadows? i think they're amazing, i love them, and they're very useful. 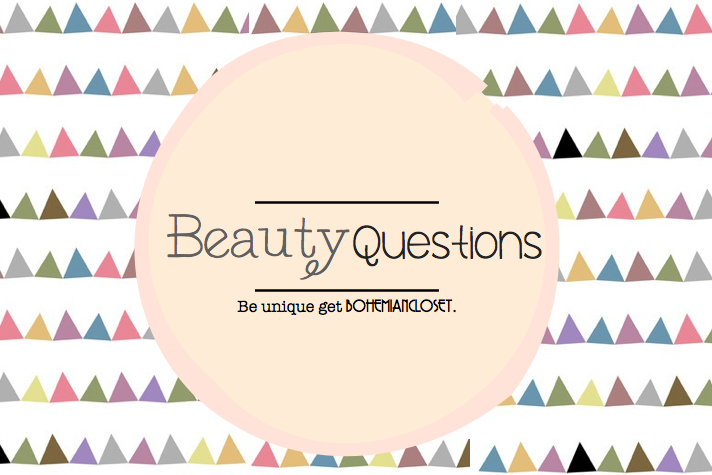 -Do you use mineral makeup? Yes i have some. -What is your favorite blush to use? it's called Sienna and it's a bronzer. -Do you buy your makeup on ebay? No i don't. -Do you like drugstore makeup? I don't own many drugstore makeup, but i know you can find some goodies. -Do you go to CCO's? (cosmetic company outlets) No i don't. -Did you ever consider taking make-up classes? Of course i have. -Are you clumsy in putting on makeup? Haha not anymore. -Do you like colorful shades of makeup (lipstick,eyeshadow) or neutral ones? there're moments for both of them they are a must!! -Which celebrity always has great make up? Definitely the Kardashians i LOVE THEM. -If you could leave the house using just ONE make up item,what would you use? lipstick. -Could you ever leave the house without any makeup on? Of course i could. -Do you think you look good even without any makeup on? Yess. -In your opinion, what is the BEST makeup line? i don't have any particular one, i love a lot of brands and each one of them have different kind of products so i wouldn't compare. -What do you think of Makeup? Makeup it's an amazing way to express yourself and enhance your natural beauty.